With San Francisco’s neighborhood theaters biting the dust like Amerindian buffalo, it’s gratifying to know there are still alternate screening venues like Oddball Film + Video, a stock footage company based in San Francisco whose main business is licensing unusual stock footage to producers of feature films, documentaries, commercials, broadcast television, music videos, as well as web and new media productions. Oddball also offers stimulating and idiosyncratic programming culled from their vast licensing archives. Proprieter Stephen Parr told me in an interview: “I’m interested in learning how to do nonlinear programming that hits a lot of people on a lot of levels.” He does this not only by utilizing in-house footage, but by inviting guest programmers and showcasing traveling exhibitions. My Editor’s Pick for the week are two upcoming events at Oddball programmed by Kat Shuchter. The first is on Thursday evening, May 29, 8:00PM, when Oddball welcomes the KLIK! Amsterdam Animation Festival on its epic West Coast tour for a screening of “Midnight Madness,” the strangest of the strange from their annual international animation submissions. Films include Feed Me (Niels Dekker, Netherlands); Boogodobiegodongo (Peter Millard, United Kingdom); Pargu (Sean Grounds, Canada); Baby, I Love You (Faiyaz Jafri, United States); Helpiman (Aisha Mad u, the Netherlands); Yellow Belly End (Philip Bacon, United Kingdom); Performance (Masha Sedyaeva, Russian Federation); Swallowing a Single-Engine Airplane (Marcelo Marão, Brazil); How to Deal With Nonsense (Veronica Solomon, Romania); Luke and Lotta (Renata Gąsiorowska, Poland); Emilia (Tsai Yu-Jhen, Taiwan); The Rabbitman (Sophie Tari, Hungary); and Swarming (Joni Männistö, Finland). Plus a couple of insane 16mm animated shorts from the Oddball archive, Vince Collins’ psychedelic Fantasy and Bruno Bozzetto’s Opera. The evening will be hosted by Dutch animator Mathijs Stegink. 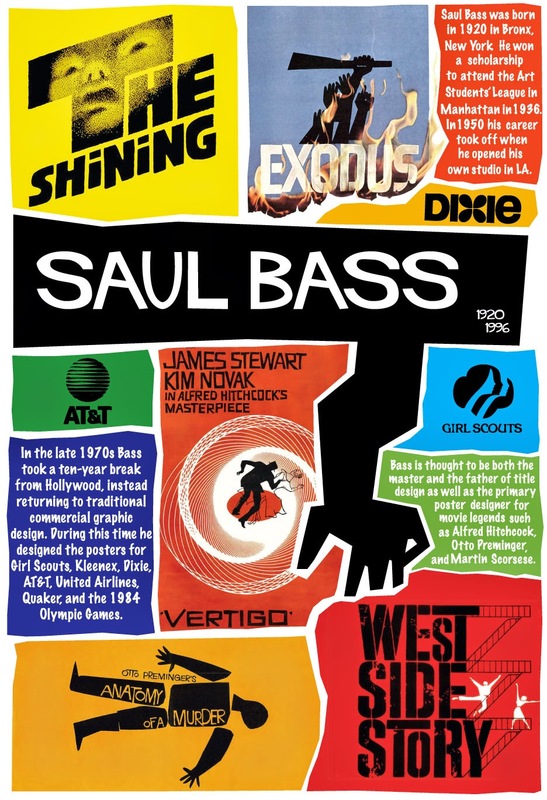 Then the following evening, Friday, May 30th, also at 8:00 PM, Oddball presents “The Saul Bass Treatment”, an evening of films showcasing one of the 20th century’s legendary graphic designers, filmmakers and title producers—Saul Bass. The man responsible for some of the most easily recognizable corporate logos, film posters and film title sequences was—in his own right—an incredible, visionary and award-winning filmmaker. Films include the documentary Bass on Titles (1982) featuring the man himself musing on the creation of some of the designer’s most iconic title sequences from such films as Man with a Golden Arm, It’s a Mad Mad Mad World, Seconds, West Side Story, Grand Prix, and Walk on the Wild Side as well as some of his most famous corporate logos. Notes on the Popular Arts (1977) explores escapism in American popular media through a smorgasbord of bizarre dream sequences; with exquisite timelapse cinematography, co-directed by his wife Elaine Bass. The pair teamed up again for the lush optical fantasy Quest (1984), an adaptation of Ray Bradbury’s dystopian short story “Frost and Fire” and Saul Bass’ final film. Plus, the newly unearthed short From Here to There (1964), a kaleidoscopic airplane flight across the country made for the 1964 World’s Fair. Tickets: $10.00—Limited seating. RSVP to RSVP@oddballfilm.com or 415-558-8117. This entry was posted in Films and tagged animation, festival, Films, KLIK!, Oddball Film + Video, shorts, special event, stock footage. Bookmark the permalink.